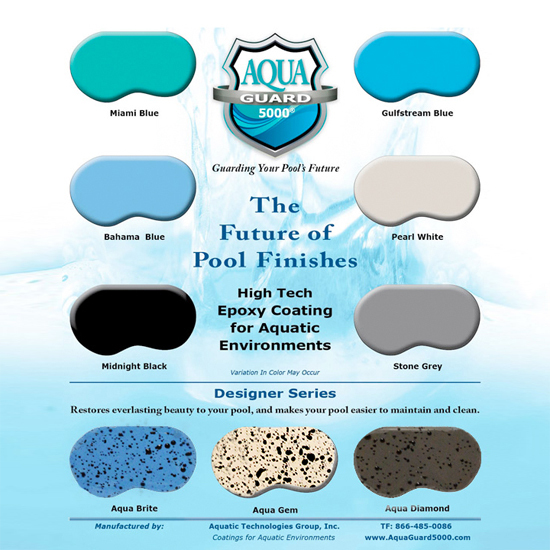 In an ever changing industry, Aquatic Technologies Group maintains a unique ability to develop quality pool finishes considered to be the leading products in the industry. AquaGuard 5000 industrial, commercial pool finishes outperform all others offering one of the best warranties in the industry. AquaGuard 5000 has been used to refinish and resurfaced commercial pools and spas throughout the US and the Caribbean Islands. Our case studies include hotels, motels, swim clubs, condominiums, residential communities, and commercial municipal pools. Today, selecting the right product for commercial pool refinishing can be very confusing. There are a variety of pool paints, resins and fiberglass materials available to resurface your pool or spa. Beware of applying pool paint or other pool finishes that do not have the proper concrete or fiberglass bonding capabilities as they will fail to hold up to your pool water and the chemicals that can destroy your pool surface over a short period of time. AquaGuard 5000, made of the highest quality epoxies available, does not add fillers like many lesser products. Application is relatively easy. In addition, Aquatic Technology Group offers full training and support to a nationwide network of pool professionals. Our innovative pool and spa resurfacing techniques have created a long list of satisfied commercial and residential customers. Don’t forget that as an AquaGuard customer, you are secured by our ten year to fifteen year warranty for the AquaGuard 5000 application. Aquatic Technologies understands how important it is to make sure every AquaGuard 5000 pool looks better than new. That is why we offer tech support with qualified pool specialists on hand that will help you every step of the way to refinish your pool to look better than new. Visit our Before and After Gallery, look through our Video Gallery or examine the Application Tips and download our product specifications page for AquaGuard 5000. 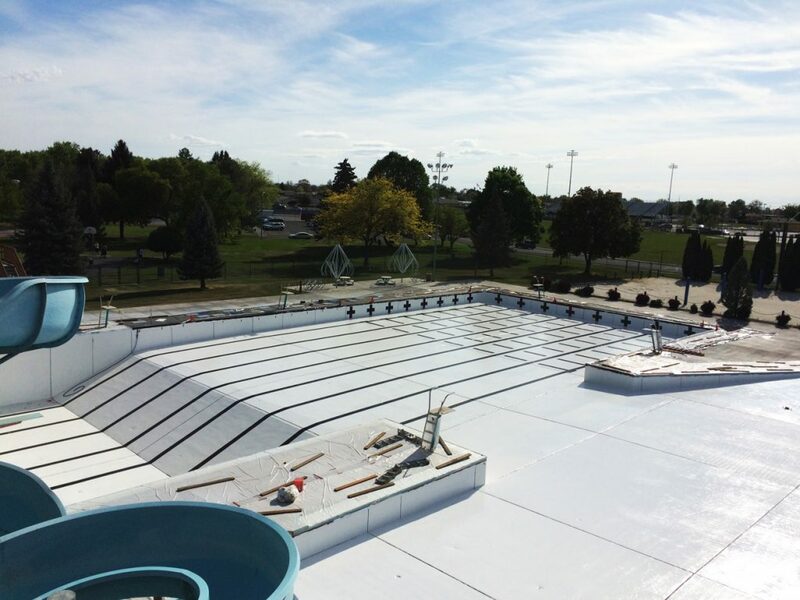 See for yourself how better than new is possible, even for fiberglass pools! Contact Us for information regarding our extensive line of AquaGuard products including the award winning AquaGuard 5000 pool reconditioning application. Pool professionals! See what it takes to Become a certified AquaGuard Dealer!